On Sunday, El Mundo newspaper published a photograph of González Pacheco that shocked many of his alleged victims. 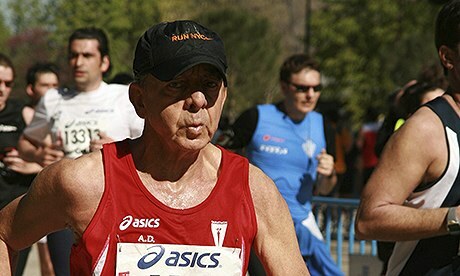 It shows him running the Madrid half-marathon in 2010, wearing a red top, black shorts – the same colours as the flag of Spain’s fascist Falange party – and a black RUN NYC baseball cap. He finished in 2hrs 7mins 7secs, impressive for a man who celebrated his 67th birthday last weekend. González Pacheco, nicknamed Billy the Kid, would often tell prisoners how much he liked to beat them. After Franco’s death, he joined the police’s anti-terrorism unit and helped run the “dirty war” against ETA, the Basque separatist group and continued using brutal tactics against political dissidents. Spain has proven hesitant to prosecute any crimes under Franco, even granting amnesty to those who committed crimes under Franco’s regime in 1977. However, this international arrest warrant may help to start Spain’s long-stalled healing process.